This is a gift I wrapped for one of my grandsons. using the resources I had on hand. 1. 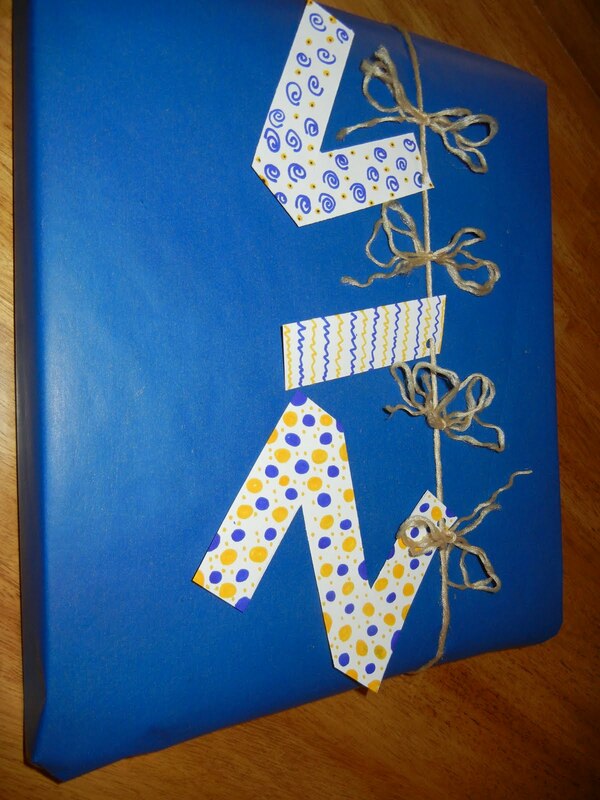 Cut out the letters of the child's name from card stock. to coordinate with the gift wrap. 3. Punch holes in the top right corners of the letters. 4. String the letters using yarn, string, cording, or twine. 5. Tie the string of choice tightly around the gift. to the personalized gift garland. This idea could be used as a wall art kid craft. to reinforce the corner before punching the hole. Great idea! I think this is better than a bow!